Looking for a new golf course ranch home? Golf View at Laurel Canyon has one ranch home that is MOVE-IN READY! Spring is here and it’s your time to move into a golf course home! Golf View at Laurel Canyon in Canton has one ranch MOVE-IN home ready now! 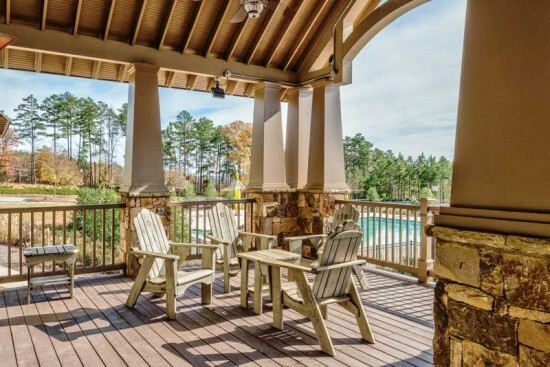 Ideally located just a short drive off of I-575 to Riverstone Parkway in Canton, Golf View at Laurel Canyon offers breathtaking views of the 12th Fairway with each and every home. Ranch homes are wonderful for just about any age group and make entertaining a breeze with new open plans. Boomer friendly- The ranch’s single-story design is kind to baby boomers (and their knees), allowing them to age in place. Open plans perfect for entertaining – Today’s plans are open and free-flowing with easy access to family rooms and the outside. Indoor-outdoor flow. Ranches can be built on a slab or basement and are especially conducive to indoor-outdoor living and outdoor living spaces. Many remember the dark ranches of the past but these aren’t your grandparents homes – narrow, dark or old fashioned. You’ll be amazed at how the spacious, light-filled interiors make these ranches inviting and warm. Modern features and contemporary finishes have been incorporated throughout the homes at Golf View with exceptional results. A home that you can truly enjoy and a view that you will love! The amenities in a community are important. Golf View offers spectacular amenities including a 2-story clubhouse with wrap around veranda, tennis courts, pool & playground. All homesites have fabulous views and are located directly on the 12th Fairway on Fairways of Canton Golf Course in Canton. Relax, rejuvenate and reload at Golf View at Laurel Canyon! One Home Available to Close NOW at Golf View at Laurel Canyon! Make your Move! If you dream of living on the golf course, make your dream a reality at Golf View at Laurel Canyon. Ideally located just a short drive off of I-575 to Riverstone Parkway in Canton, Golf View offers move-in ready homes in a beautiful golf community. No matter what the time of year, great amenities are wonderful. This is the perfect time to move to enjoy the views and amenities at this amazing community. Golf View at Laurel Canyon features a 2-story clubhouse featuring wrap around veranda, tennis courts, pool & playground. All homesites have fabulous views and are located directly on the 12th Fairway on Fairways of Canton Golf Course in Canton. With stunning custom interior & exterior finishes they are only priced from the mid $300’s, Golf View at Laurel Canyon is an amazing find for the new home buyer. While you are in Canton, make your plans to come and visit Canton’s newest community by Award-Winning Patrick Malloy Communities,Golf View at Laurel Canyon. Ideally located just a short drive off of I-575 to Riverstone Parkway in Canton, Golf View offers move-in ready homes in a golf community.